Looks like we were wrong! 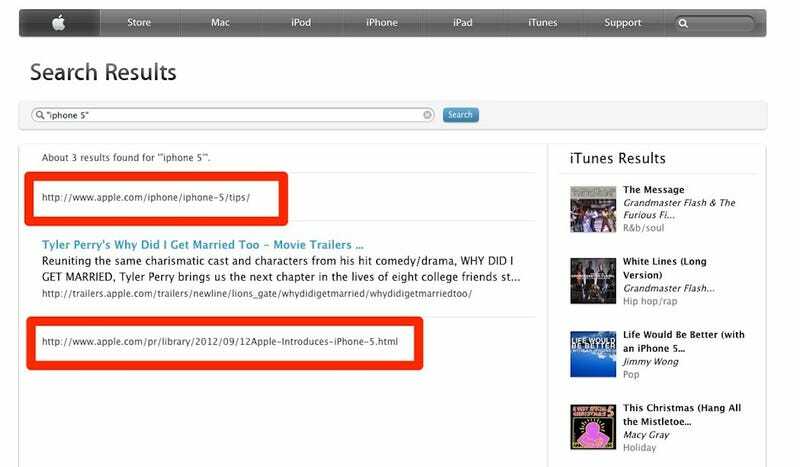 It still doesn't really make sense, but leaked search results directly from Apple.com all but confirm that the New iPhone will be named the iPhone 5. Update: A search for "new-ipod" yields the following (also unreleased) PR dispatch regarding a new iPod Touch and Nano. Looks like the phone won't be the only show today. Update 2: Looks like we'll be getting iTunes 11 today as well. Update 3: Hey look, the iPhone 5 will have LTE.